At its I/O conference in May, Google showed off Home, its answer to Amazon’s Echo. 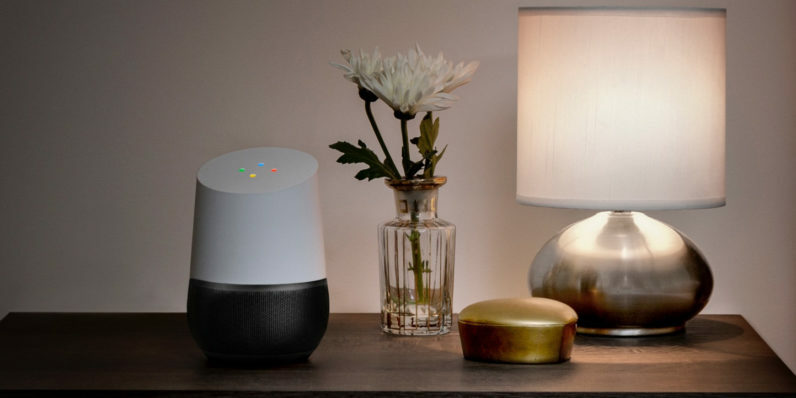 The voice-activated device is designed to work with Google Assistant and answer your questions, control music playback through its built-in speaker and control your home’s IoT gadgets. Android Police reports that its sources have confirmed that Google will formally announce Home at its October 4 event, where the company is expected to unveil a ton of new hardware. The Home will reportedly be priced at $129 and will be available with personalized base covers. It’ll likely work like a voice-based version of Assistant, which is presently only available in Google’s new Allo messaging app. It’ll be interesting to see if this hots up the market for home automation devices. At that price point, Google’s offering will come in at $40 less than Amazon’s Echo and match its lower-end Tap speaker. Google and Amazon may not be the only ones duking it out for the chance to run your connected home: Bloomberg’s sources noted last week that Apple is building a similar gadget that integrates the company’s HomeKit platform to talk to other devices around yourhouse. Android Police also noted that the rumored 4K-capable Chromecast, also slated to be unveiled next month, will likely get a $69 price tag, along with HDR output support. Luckily, we only have to wait a little more than a week to know for sure.